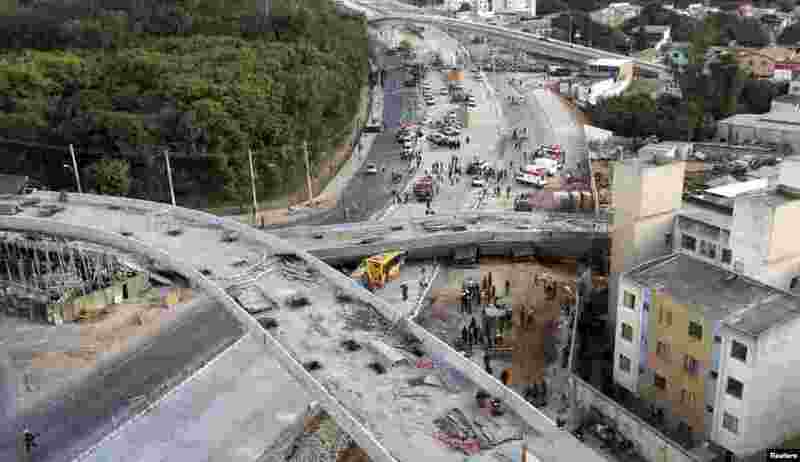 1 An overview of a bridge that collapsed while under construction trapping vehicles underneath in Belo Horizonte, July 3, 2014. 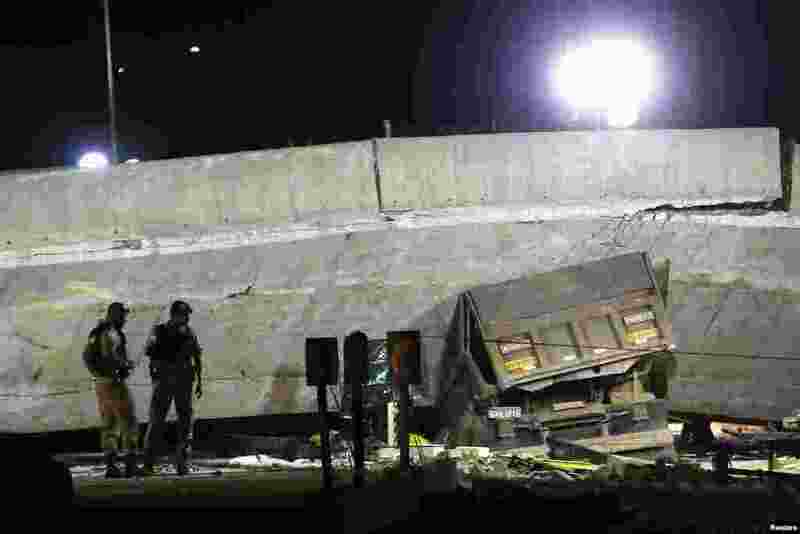 2 Rescue workers try to reach vehicles trapped underneath a bridge that collapsed while under construction in Belo Horizonte, July 3, 2014. 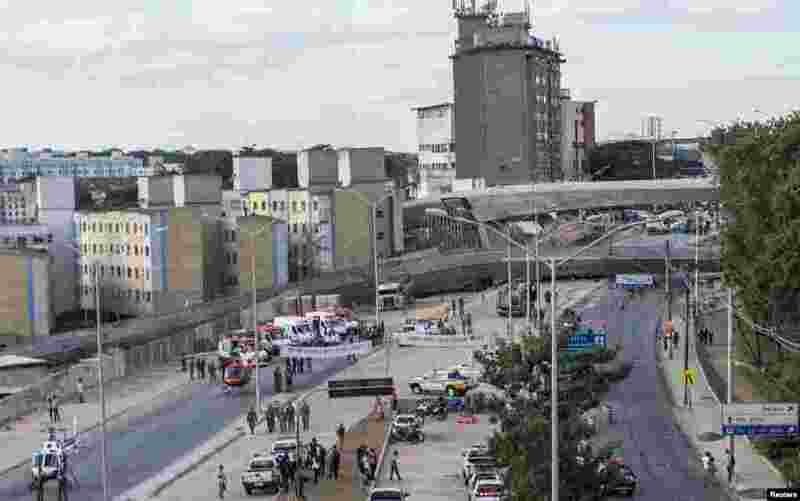 3 A vehicle is trapped underneath a bridge that collapsed while under construction in Belo Horizonte, July 3, 2014. 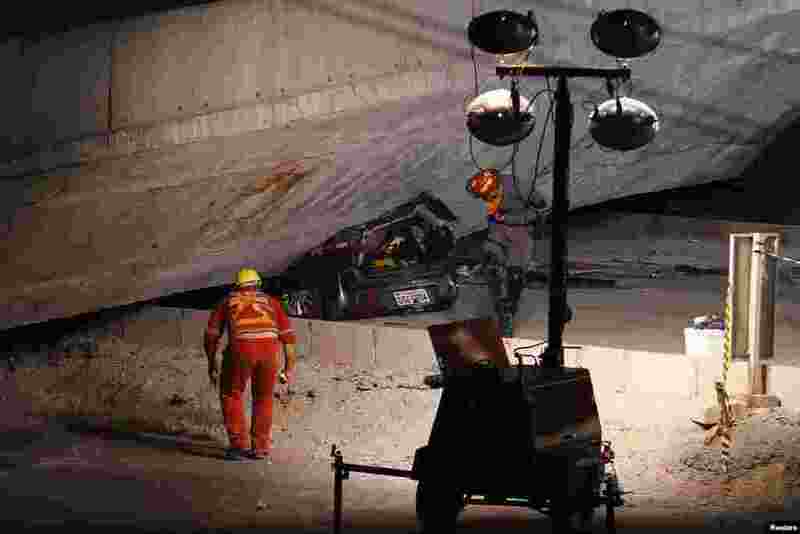 4 Rescue workers inspect a car trapped underneath a bridge that collapsed while under construction in Belo Horizonte, July 3, 2014.